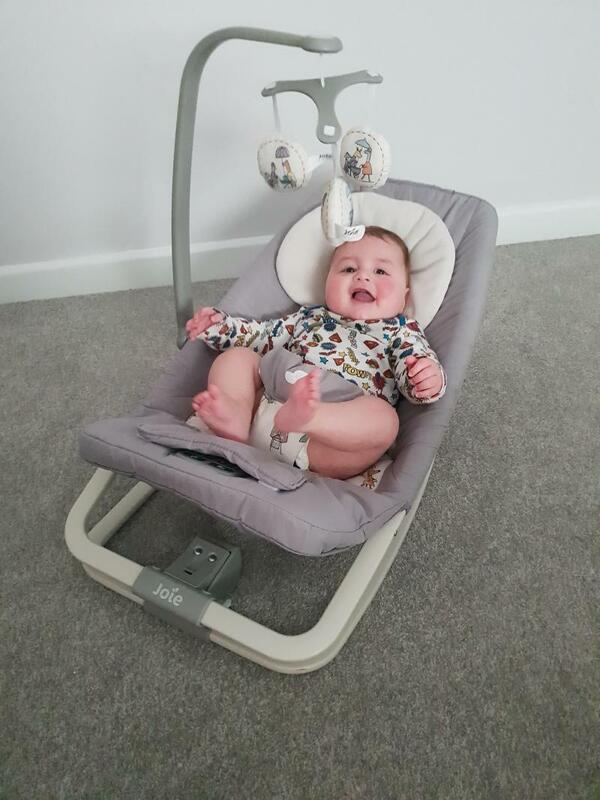 This bouncer is good value for money, looks stylish and can be put away easily. Handy to put baby in whilst in the kitchen or in the shower. The mobile arm does come off easily when moving the bouncer around. 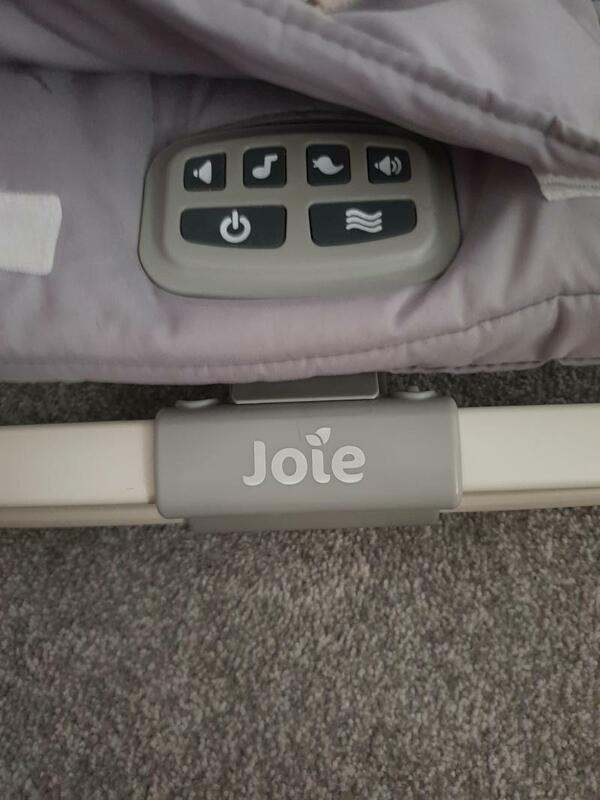 I bought this joie chair and its amazing love the neutral pattern it is so easy to transport as it is lightweight, ultra slim and folds fully flat which makes a safe place for a nap when out and about or on holiday. I love that it play nature sounds as well as lullabies and vibrates. My chunk can make it rock or we can set it to one of the different setting to vibrate and play music . I really love this product and would and do recommend to any mum :) brilliant must have! Hard to adjust while baby is in it. Firstly i fell inlove with the simple design, i wanted a netural design as we didn't know the gender. 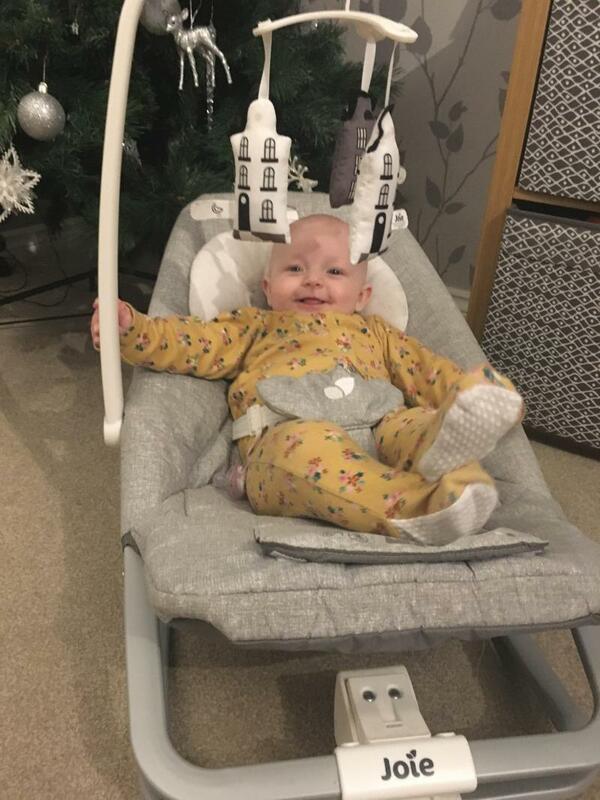 At first our newborn wasn't impressed with the seat but by around 2 months she would happily sit or sleep in the chair. The vibration is great and having the choice of lulabys or sounds is great, these are very easy to use. However adjusting the seat while the baby is in it isnt so easy. I ave woken my little one up several times trying to lay her flat whilst asleep. Other than that it folds flat for easy storage. The toy bar is a little too easy to pull off and i don't think my little one finds it that entertaining. Overall good chair , does the job. 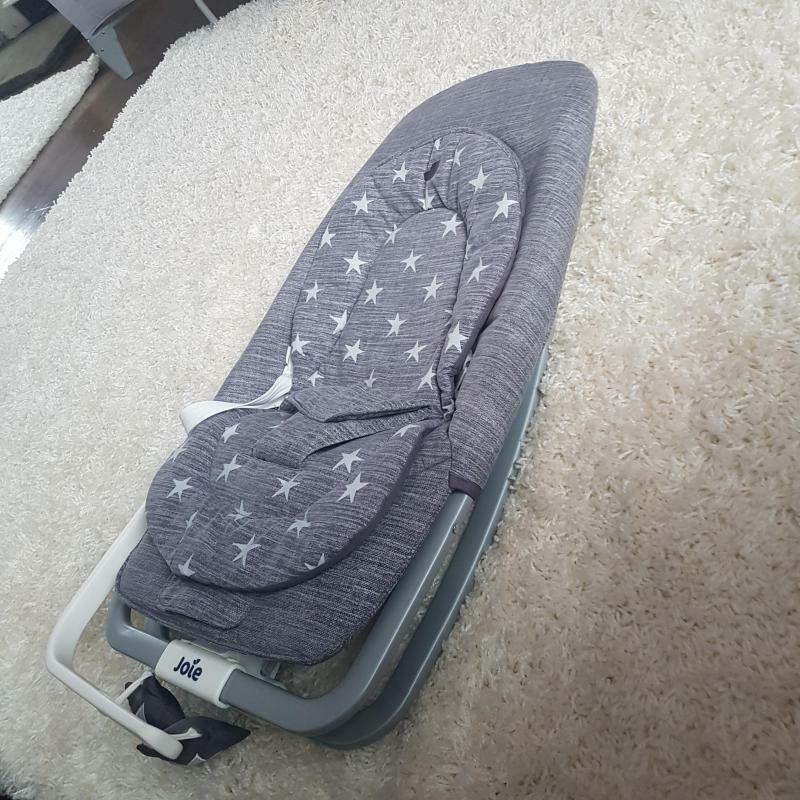 The best product we bought for baby! Can use as a rocker or can place the little stand up and gently bounce. Several different seat positions and a lovely eye catching toy stand for baby to look at. 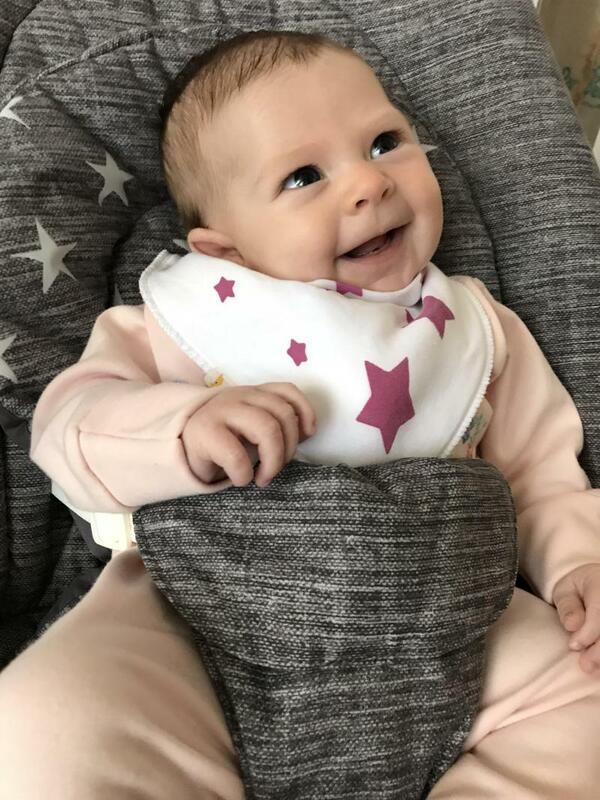 Was brilliant for our baby with reflux and colic. 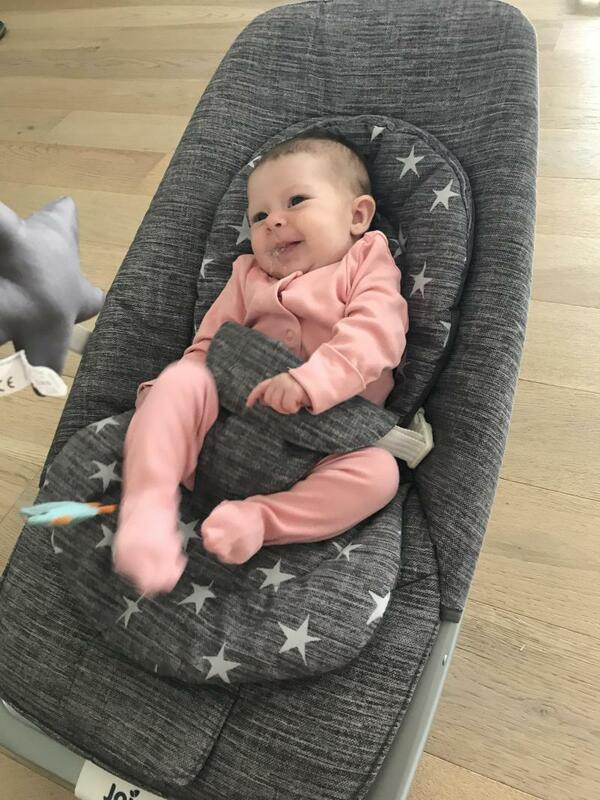 My little one is very happy to spend time in this seat! I set the vibration on and she snuggles in. Lots of different music for her to listen to as well, either nursery rhymes or nature sounds. The only negative i’ve Got about this seat, is the arm which holds the bird and giraffe is a bit useless. It doesn’t really sit properly in the connector to the seat. Also, it drains the batteries quite quickly. Other than that, I’m happy with it and little one is happy with it too. This was amazing while our baby was up to 4 months old. But as soon as he got a bit wriggly it started to collapse with him in it. So brilliant first bouncer but not for a long time. Would use it again with another baby knowing that it isn't to last months. Very happy with it while we could use it. Use this multiple times a days. My lo loves sitting in her rocker and gives us parents 5 minutes. We have added to the mobile with her favourite things. Doesn't fold down flat for storage. 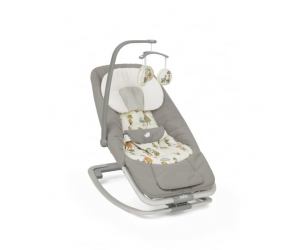 This rocker bouncer was an absolute godsend for us, especially in the early days with our baby. He loved this bouncy chair and during the day it was the only place he would sleep other than on me! It comes with a newborn insert, lovely toy bar, had several vibration settings and plays several different tunes. If I was being picky, the only downside is that it doesn't fold down flat for storing or travelling, but that was no biggie for us. Max weight is approx 9kg. I bought this for my son when he was about 2 months old. As far as I'm aware the max user weight for it is about 9kg which my son outgrew pretty quickly. It's very sturdy and easy put up/down and my son loved it. He feel asleep in it many a times so I'll take that as his seal of approval! Great product, looks great, folds away compact if not being used, has good levels of volume (can be quite quiet so isn't overpowering). Toy bar is removable and recline positions are great for different reasons. We brought the house design which is quite colourful and more interesting for a child. 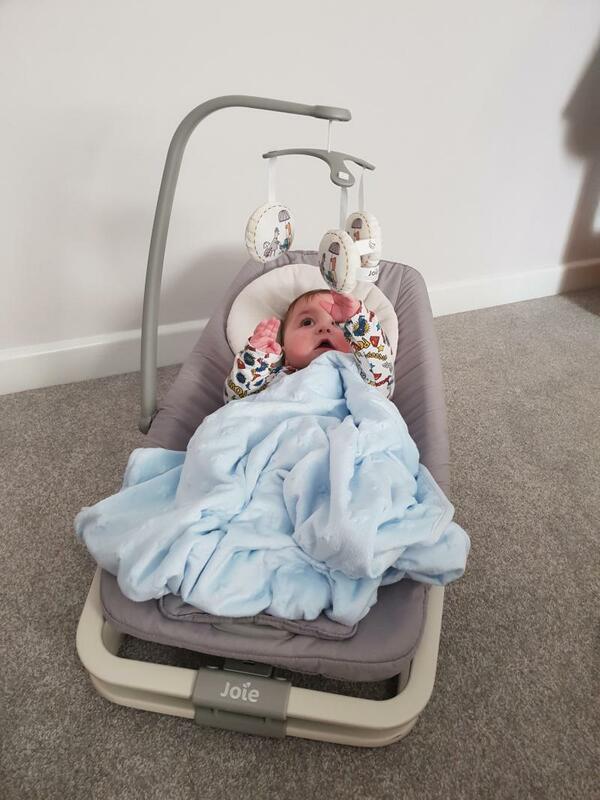 It has three positions which is great for different ages as well as it being quite long and wide too for an older child! The bouncer is easy to use and folds down small to fit under the bed which is handy if you don't have a lot of space. 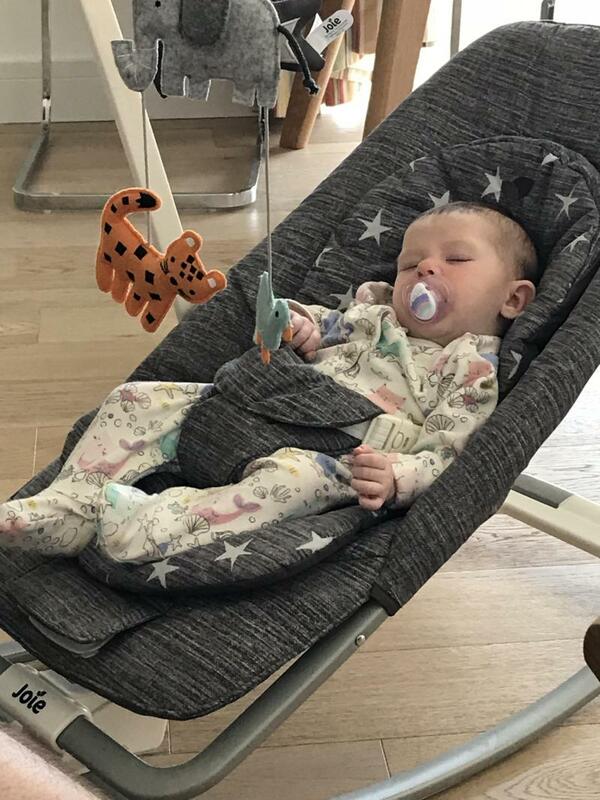 One of the only problems I have with it is when the baby or child is in the chair it's not easy to move to different positions as it doesn't click into place very well so you have to choose the position you want first then put them in it. The toys are okay but not very engaging but you can add more of your own to the bar. it's very easy to wipe too so you don't need to worry if they are sick or food gets into it. It has a vibration setting which is soothing and some songs and other noises. All in all I would recommend this bouncer! 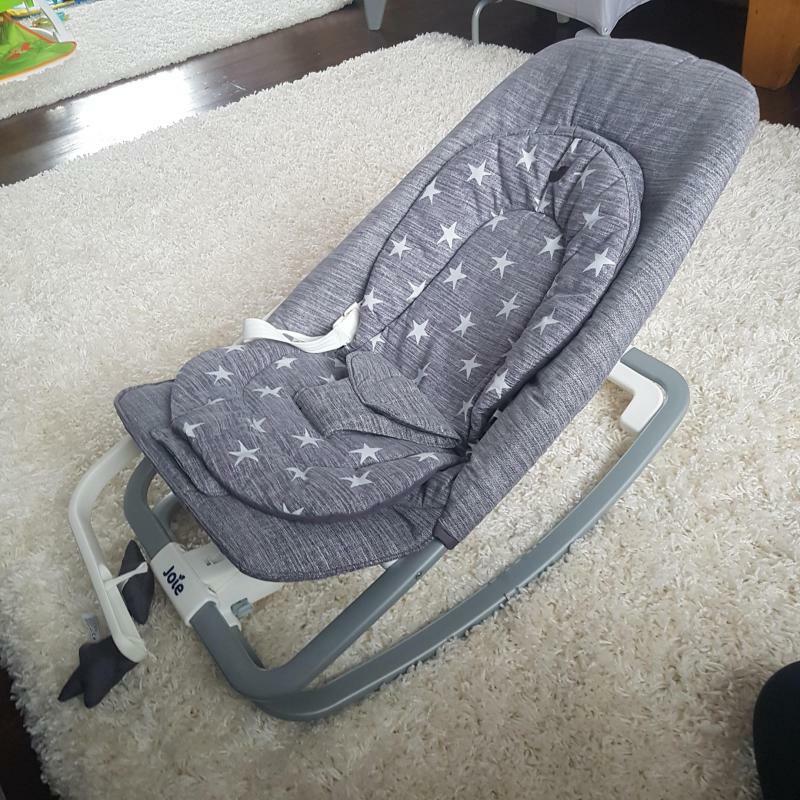 Really nice design, chair vibrates so is relaxing for baby and plays music, folds down flat so easy to store and move from room to room, also like that it can be used from newborn and is able to rock. Comfy. Newborn insert. Looks great. This little bouncer is fantastic. Baby has used it from birth as it has a padded insert. Plays music, nature sounds and vibrates. Has a removable arm to had toys on which it a great way to entertain baby when you need to get on with some mummy jobs. Bouncer looks great and folds up really neatly for storage. Folding button is rather annoying! Fantastic bouncer, can be used from birth if used correctly. My baby settles straight away with he tunes and vibration. The only downside is it's a two handed job to fold and put away. 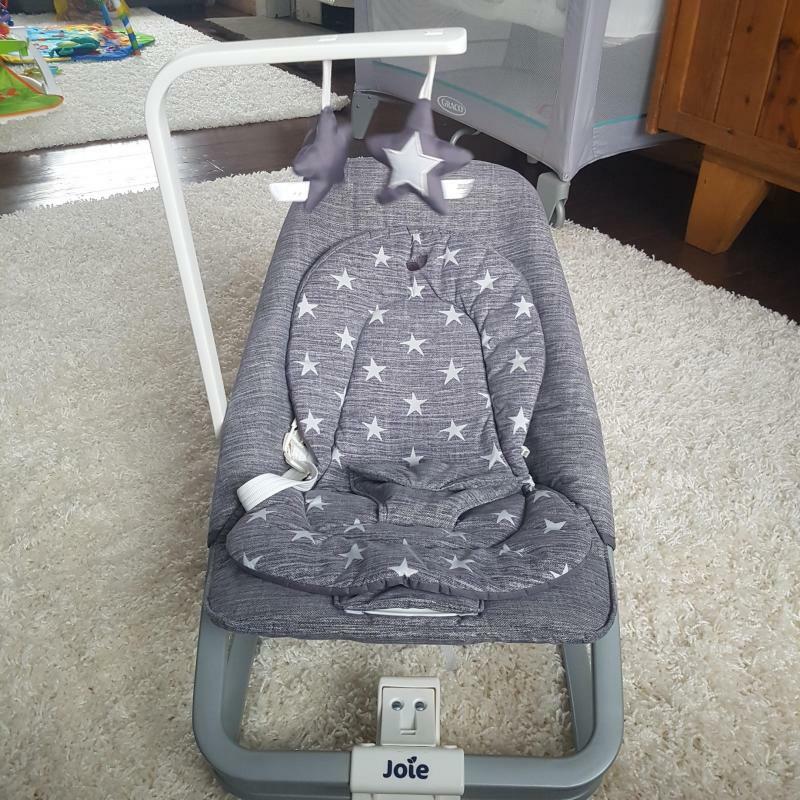 Joie Dreamer is a lightweight, soft touch cosy rocking chair, engineered to comfort baby from newborn and after. Designed with a compact frame, 3 position reclining seat, 3 point harness, and lower buckle cover. 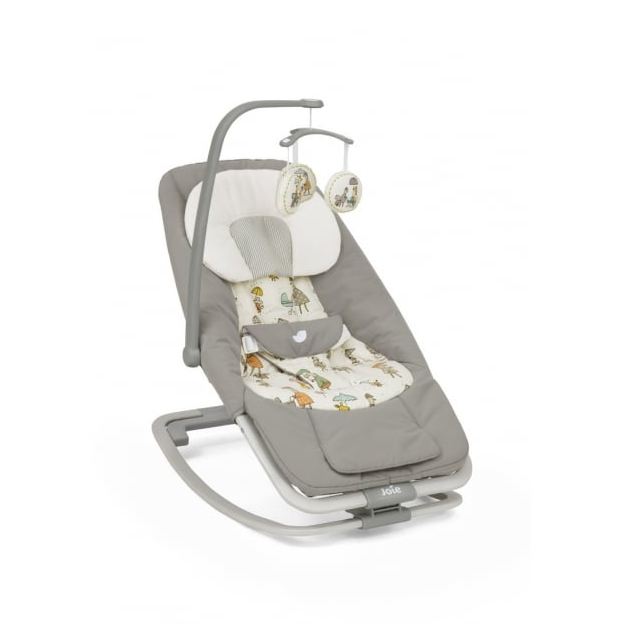 The seat rocks back and forth with a gentle push or baby's movement. Entertain and soothe your little one with the 5 classic lullabies and 5 nature sounds, which you can pair with vibration. Soothing vibrations and 10 tunes.